SELL YOUR HOUSE NOW, THERE’S NO NEED FOR A REAL ESTATE AGENT! 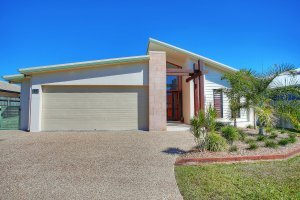 Have you had enough of the marketing and advertising costs to list your property for sale in Townsville? Tired of being insulted by ridiculous buyer offers or buyers that just can’t make up their mind? With sales solutions that work, we don’t require you to spend money to advertise or wait for a buyer. We’re a property company with fast Real Estate Townsville Solutions. Townsville is in a unique position where the loss of jobs and population over the last 5-7 years has had a detrimental effect on the Real Estate Townsville market! While professional reports from property valuers and advisors Herron Todd White place Real Estate Townsville in a recovery phase of the real estate cycle for the area, there is no way of knowing how long this phase may last. Property Ready 2 Go (PR2G) pays close to market value for homes in Townsville without the loss of agents fees, marketing and advertising costs! This can often work out better than playing the ‘race to the bottom on price’ we commonly see when a home is listed on the market here in Townsville. We love helping people sell homes in Townsville and making a real difference!